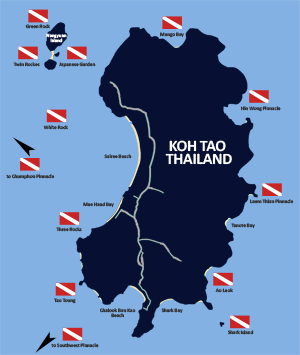 If you’re heading to Thailand and are a scuba diver or have always wanted to get certified, you need to add Koh Tao to your itinerary. 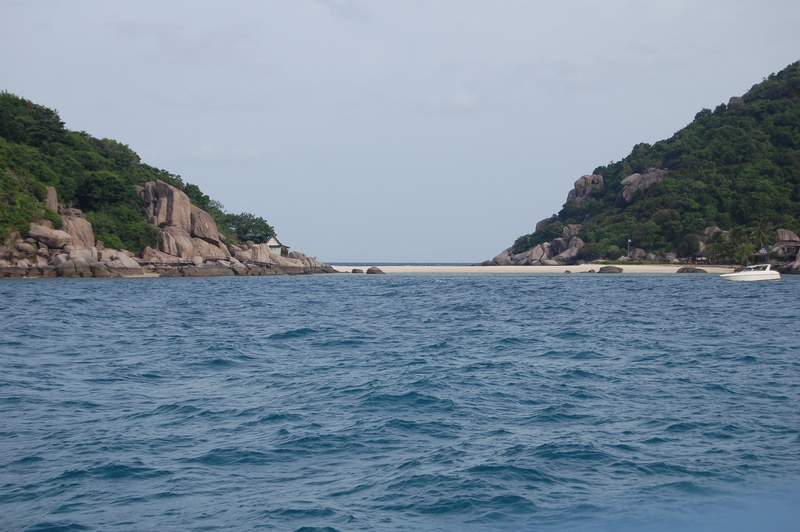 The island is in the Gulf of Thailand and can be reached only by ferry from Koh Samui or Koh Phangan. It’s a beautiful island with only one major town which is where the ferry arrives, other parts of the island are uninhabited and can only be accessed by ATV’s or dirt bikes. 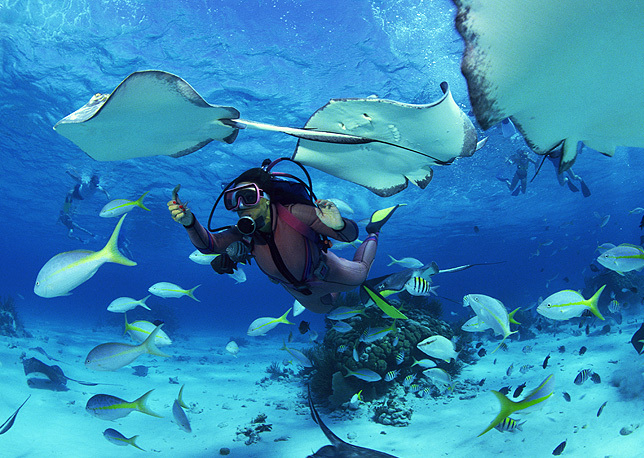 The main reason that it attracts travellers is for the scuba diving. The water is very clear and there is an abundance of marine life. When you arrive and walk into the town of Sai Ree, you’ll notice dive shops everywhere offering daily dives as well as PADI open water certification courses. 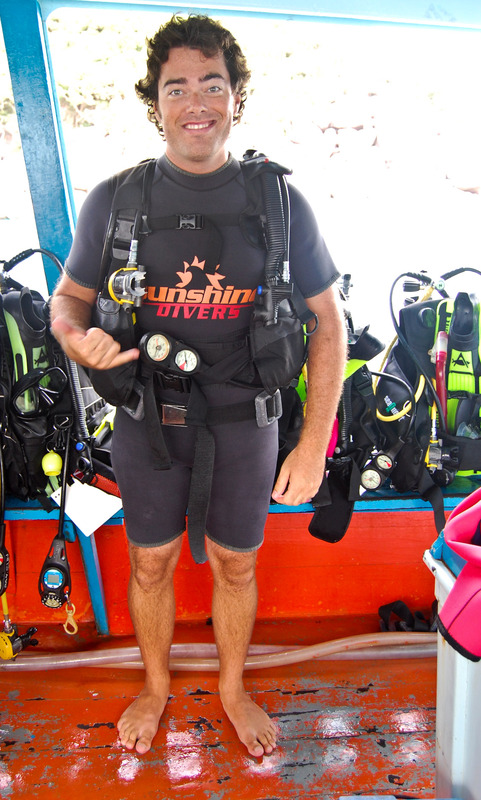 Since there are so many dive operators on the island the course price is basically the same no matter which one you choose, and it’s a lot cheaper than doing the same course at home. When selecting a dive operator, one perk that may interest you is that some will offer free accommodation at the dive resort while you are taking the open water course. The big player on the island is definitely Ban’s Diving Resort, you’ll see their boats loaded down with lots of new divers. I highly recommend Sunshine Divers, it’s a small resort located on the southern part of the island away from the main town/beach. 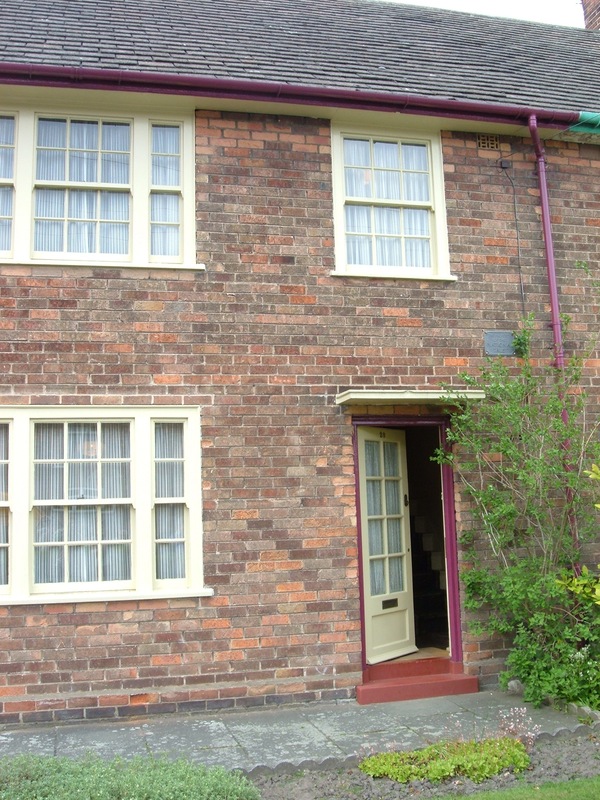 My accommodation was free since I took my open water course with them. You don’t need to worry about transportation as the resort will drive you to the boat and pick you up each day. There’s a restaurant at the resort, as well as many others within walking distance. The dive spots are incredible, the visibility is endless and you’re guaranteed to see some amazing coral reefs and a variety of tropical fish. 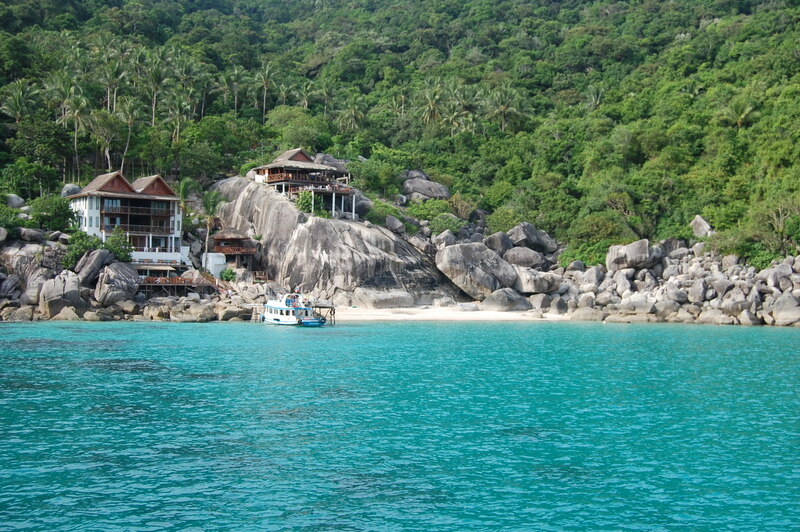 So, if you’re a diver or want to be a diver definitely take the ferry ride to Koh Tao when in Thailand. 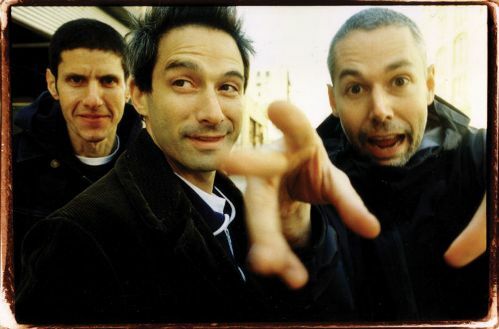 When Adam ‘MCA’ Yauch passed away last week, in a strange way it was like losing a friend. The Beastie Boys had been my soundtrack as a teenager, starting with the Ill Communication album. I got the album through Columbia House, remember the 8 CDs for a penny deal. Then Hello Nasty dropped in ’98, my friend got it on vinyl, and some days after school we would just sit in his room and spin it till dinner time. The Beasties’ rhymes are party-friendly, funny & bizarre, but even within that context MCA was able to raise issues that needed to be addressed. Whether it be advocating equality and respect for women or bringing attention to the oppression of the Tibetan people under China’s rule, these messages just made the music stronger. As I was reflecting on Adam’s passing, I thought of another band that made a huge impression on me a few years before the Beastie Boys. 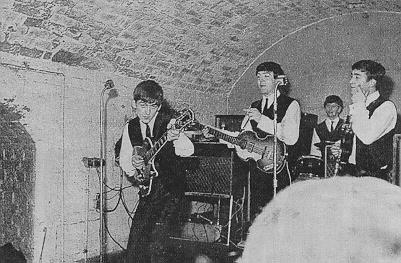 That same friend and I used to sit in my basement almost every day after school playing Super Nintendo and listening to The Beatles – Live at the BBC double album and Sgt. Pepper’s over and over. 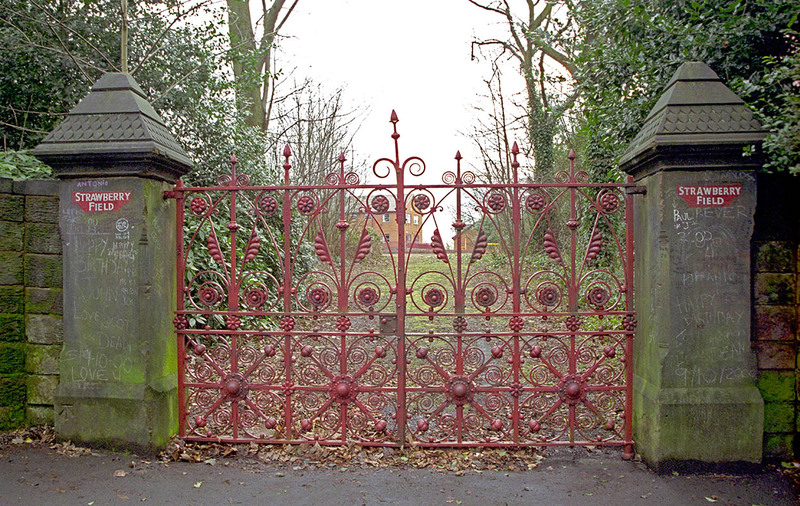 This post was originally titled ‘A Fab Day in Liverpool’ and was going to be about Beatles sights in Liverpool, that post will come tomorrow. Here we go with my first trip itinerary for 2 weeks in Hawaii. I decided to go with 2 islands (Oahu & Maui) for a week each, because I want the trip to be relaxing but still offer a variety of things to do & see. I’m not paid by hotels or restaurants, these are just my recommendations for a great experience in the Aloha state. Let’s start with 7 days in Oahu. You’ll fly into Honolulu and it’s likely been a long flight so you can start the trip by spending 3-4 days in the Waikiki Beach area. 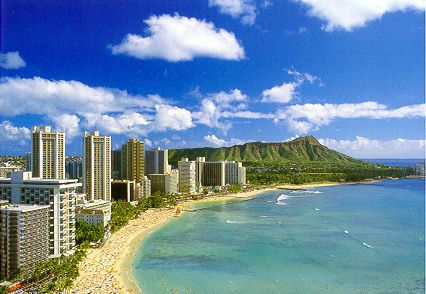 Accommodations in Waikiki – there is a plethora of hotels in Waikiki within walking distance to the beach. For a luxurious experience, I’d stay at the Moana Surfrider hotel, it’s a Westin hotel and is located right on the beach in the heart of Waikiki. 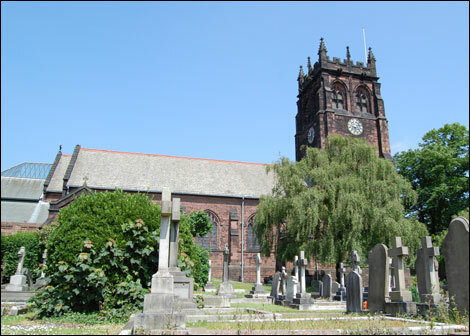 It has old world charm but with all the modern amenities you could want. For those of you looking for something with a lower price point, there are lots of options in Waikiki, but I would recommend the Aston Waikiki Beach hotel it’s located at the Diamond Head end of the beach and has a really funky feel — lots of bright tropical colours and teak in the rooms. They offer a free breakfast and provide lunch bags so you can pack up your breakfast and get out to the beach or out to other parts of the island right away. Duke’s Waikiki, named after Hawaii’s first famous surfer who introduced the sport to the rest of the world. The food is really good here, and if you can, try to get a table outside on the patio which looks out to the ocean. Most evenings have a live band playing oldies as well as traditional Hawaiian songs. Jimmy Buffett has a restaurant in Waikiki at the Beachcomber hotel. The food is same as what is served at his Margaritaville chain. 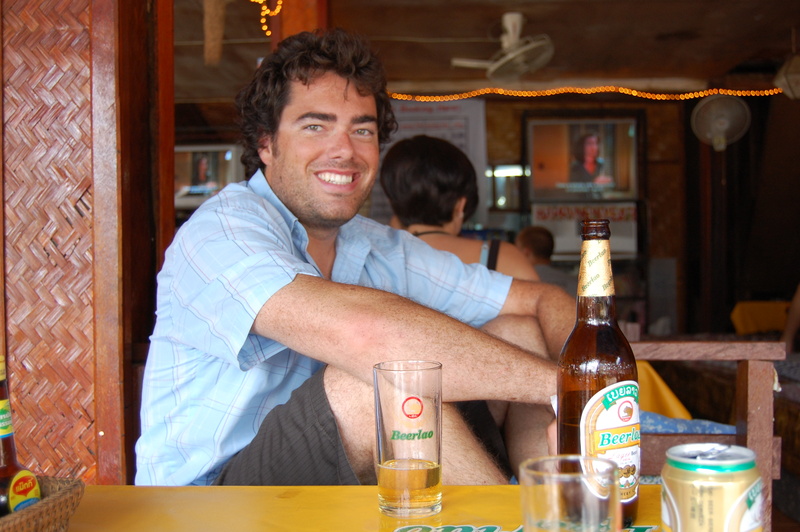 There are some great food and drink specials at happy hour depending on what day of the week you visit. Another great restaurant that’s a little classier is Roy’s, there is one located in Waikiki, and the original one is located in Hawaii Kai which is a 20min drive from Waikiki. Roy’s offers a lot of great fresh seafood as well as traditional Hawaiian cuisine. If you’re in Hawaii for a special occasion, I would highly recommend you make a reservation at Roy’s. Activities in the Waikiki Area – the main attraction here is of course the beach which has calm water which is good for kids, as well as a small consistent beach break for those who want to try surfing. It’s a beautiful beach with the Diamond Head volcano at the southern end. You’ll notice ‘beach boys’ standing beside a pile of surfboards who would be more than happy to rent you a board or give you a lesson for a negotiated price. 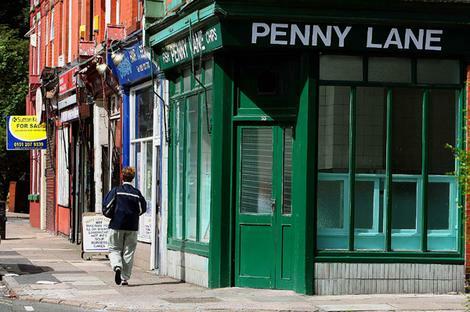 The main street that runs parallel with the beach has lots of shopping options when you need a break from the sun. 1) Spend at least half a day at Hanauma Bay Marine Park, it’s a protected marine reserve that offers the best snorkelling on Oahu. There is a fee for a day pass and you must watch a video on marine conservation and how to treat the reef while you’re snorkelling. Get here early as the parking lot fills up fast and there can be lines for the movie viewing. Once you get in the water and swim past the kids into the deeper water, the marine life is abundant. You’ll likely see sea turtles, schools of tropical fish and lots of coral. 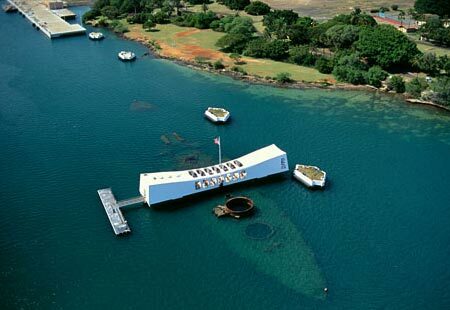 2) Pay your respects at the USS Arizona Memorial at Pearl Harbour. This is a major attraction, and the lineups can be enormous – get here early! There is a museum with artifacts from the Pearl Harbour attack and a video explaining what took place that day – with a focus on the sinking of the USS Arizona. It took a direct hit and sunk immediately trapping most of the crew inside. You’ll board a boat that will take you into the harbour, on your way to the memorial you’ll see signs for the other boats that lay at the bottom. The memorial is a floating platform that lies right over top the USS Arizona – the walls of the memorial are lined with the names of all those who lost their lives on the ship. As you look down into the water at the ship, you may see oil bubbling to the surface, these oil droplets are known as ‘the tears of the Arizona’. It’s quite a moving experience. 3) Hike to the summit of Diamond Head – it’s a 45-60min hike from the parking lot to the top of the Diamond Head volcano. At the top, the views of Waikiki and Honolulu are spectacular. Bring water as it is not protected from the sun and can get really hot, and you may want to kick off your flip-flops and put on a pair of shoes for the hike up the mountain. It’s now time to leave Waikiki and head out to the country, by spending 3-4 days on the North Shore of Oahu, home to big wave surfing and a beautiful undeveloped coastline. 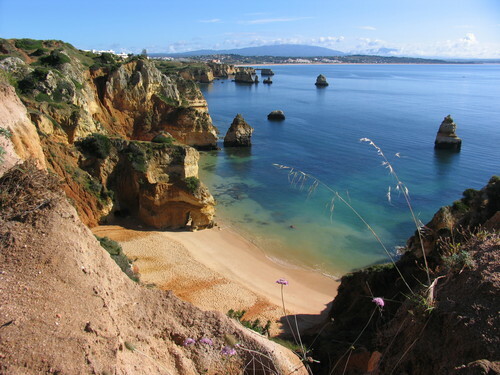 This area of the island is a lot less touristy and has more of a local flavour. There’s only one hotel on the North Shore and that’s Turtle Bay Resort, which was featured in the movie ‘Forgetting Sarah Marshall’. It’s a luxurious hotel with a golf course right at the northern tip of the island. 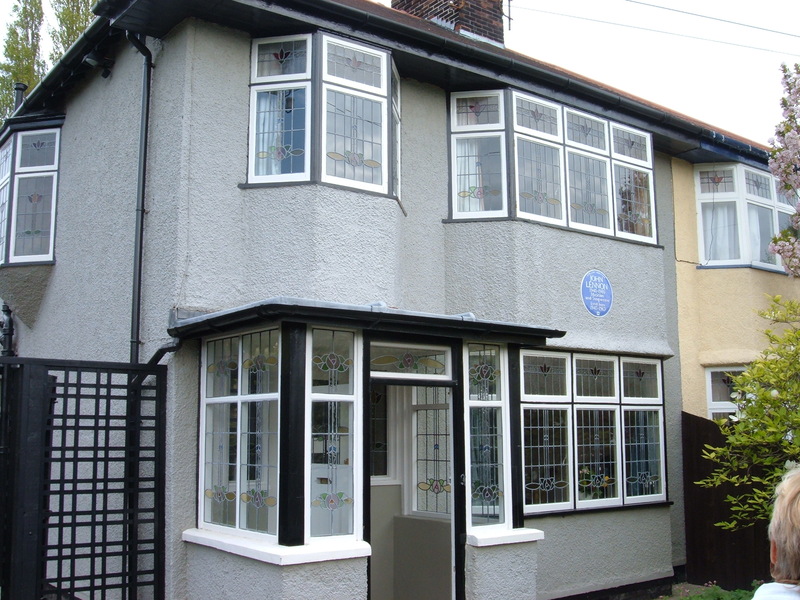 It’s very pricey, so an alternative to this would be to rent a vacation home. 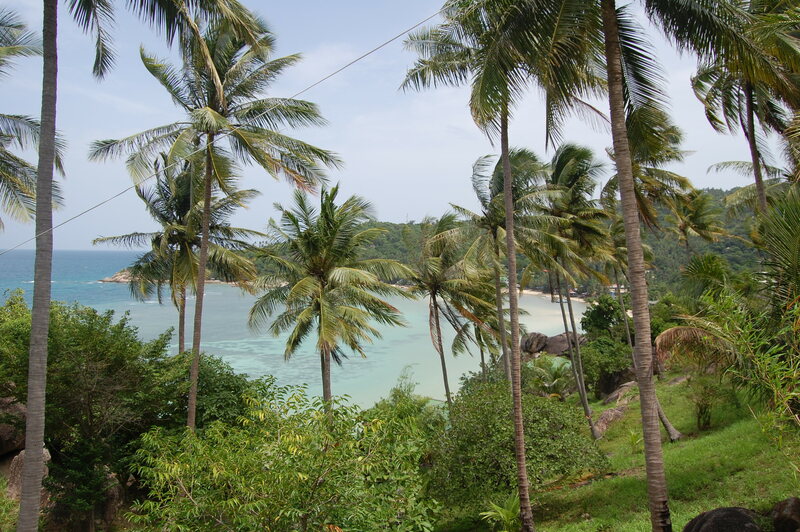 There’s a lot to choose from as there are many houses along the beach and in the surrounding hills. I’d recommend having a look for a vacation rental here. Dining on the North Shore – there’s some great restaurants you can check out in Haleiwa, which is the main town on the North Shore. If you’re craving a burger and fries, you gotta try Kua’aina Sandwiches, it’s definitely one of the best burgers I’ve ever had. For a dinner out, give Haleiwa Joe’s a try. Lastly, if you love shrimp you may want to make a special trip to Kahuku, where there are shrimp trucks lining the highway cooking up fresh shrimp. Activities on the North Shore – during the winter months, the beaches of Waimea Bay, Sunset and Ehukai (where Pipeline is) are filled with surfers and spectators. During the rest of the year, these are beautiful and deserted beaches however the water can still be fairly rough for swimming. It sounds cliché but make sure to catch the sun setting at Sunset Beach. Other activities you can enjoy are snorkelling at Shark’s Cove which is located right across the street from the Foodland. You’ll see lots of fish and likely a sea turtle or two. If you scuba dive, this is where the dive operators in Haleiwa will likely take you. 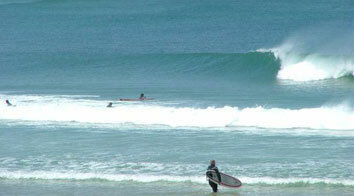 Another activity is Stand Up Paddleboarding, it’s a lot of fun and a great work-out. You can rent boards from the surf shops in Haleiwa. 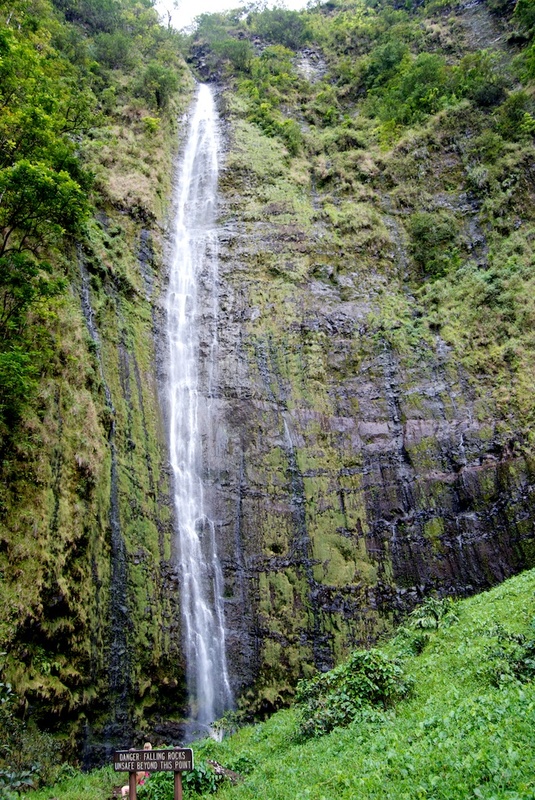 Lastly, one of Oahu’s top attractions is a car ride away, the Kualoa Ranch. At the ranch, you can go for a horseback ride or an ATV tour that will take you to some of the filming locations from Jurassic Park and the TV show Lost — think of Hurley’s golf course. That’s Oahu in 7 days, now head back to Honolulu and catch an inter-island flight to Maui for 7 days, try Hawaiian Airlines. Most Maui vacationers stay in the Lahaina/Ka’anapali area, this part of the island is very dry and hot. There’s so many hotels and resorts in this area that you should just have a look on tripadvisor or expedia and see what hotel matches your price point and needs. If you want to stay away from the tourist area, check out this cottage rental it’s located in Haiku on the north side of the island. This side of the island sees a lot more rain but the scenery is much more green and lush. Staying on this part of the island also gives you a good head start for the Road to Hana drive and is much closer to the Haleakala volcano. Dining in Maui – similar to Waikiki, the Lahaina/Ka’anapali area has many dining options to choose from. Definitely have a meal at one of the oceanside restaurants in Lahaina and enjoy the sunset, Kimo’s would be a good option for this. When visiting the hippie town of Paia, stop in at Charley’s for a bite. The restaurant is owned by Willie Nelson, who lives in the area. The food is really good, especially the breakfast options, give the macadamia nut pancakes a try! There are 2 must-do’s while staying in Maui. 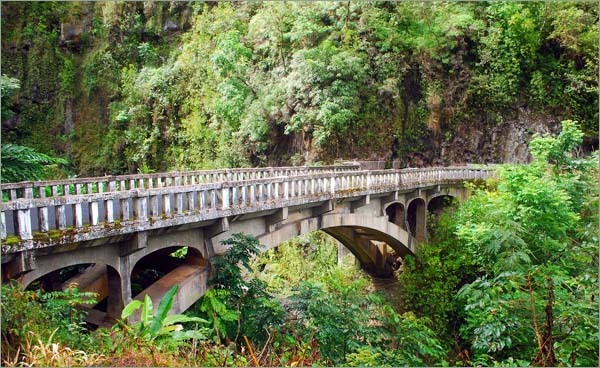 1) Drive the Road to Hana – this is likely a day trip, especially if you are coming from the Lahaina/Ka’anapali area. The road trip starts from the hippie town of Paia, where you can stop to fill up your car and pick up supplies for the long drive. Those with motion sickness might want to bring some Gravol. The Hana Highway is a 68 mile stretch that takes about 2.5 hours with no stops, the road is very twisty and hugs the cliff side. You’ll cross 59 bridges, and 46 of those are one-lane bridges. The scenery is spectacular, lush tropical jungles, waterfalls cascading down the cliff walls, and the ever present Pacific Ocean. 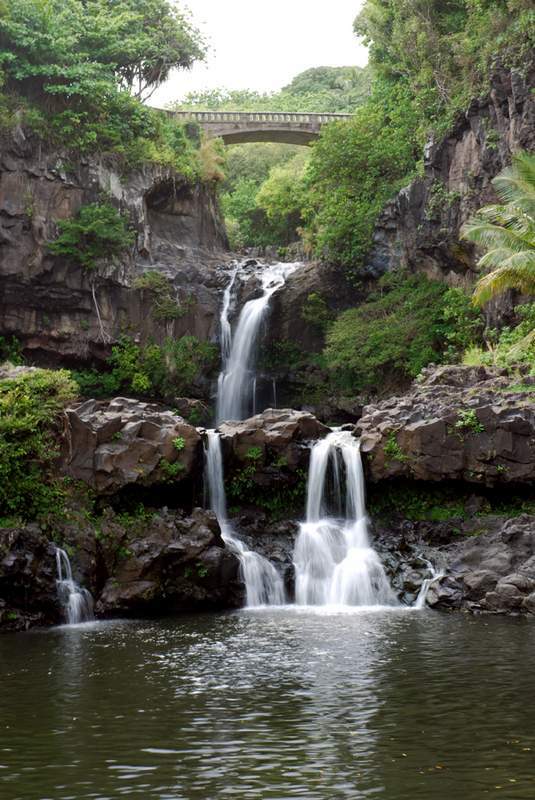 After reaching the rural town of Hana, continue down the road to the seven sacred pools at Oheo Gulch. 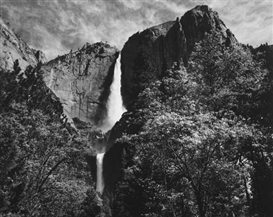 There are seven pools with waterfalls between each and the river runs right out to the ocean. You can stop here and go for a swim in the pools, or take a leap from one of the waterfalls into the pool below. From the Oheo Gulch parking lot, there are a couple of trails you can take for a jungle hike. 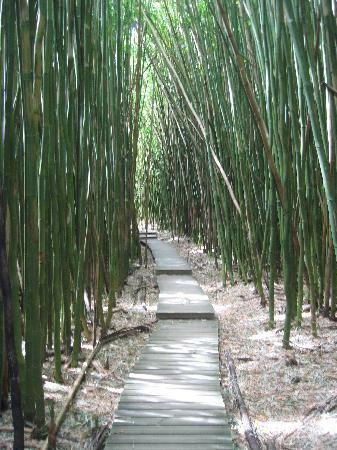 The longer trail will take you through a bamboo forest and ends at a 200 foot waterfall. This drive is definitely a must, when visiting Maui. 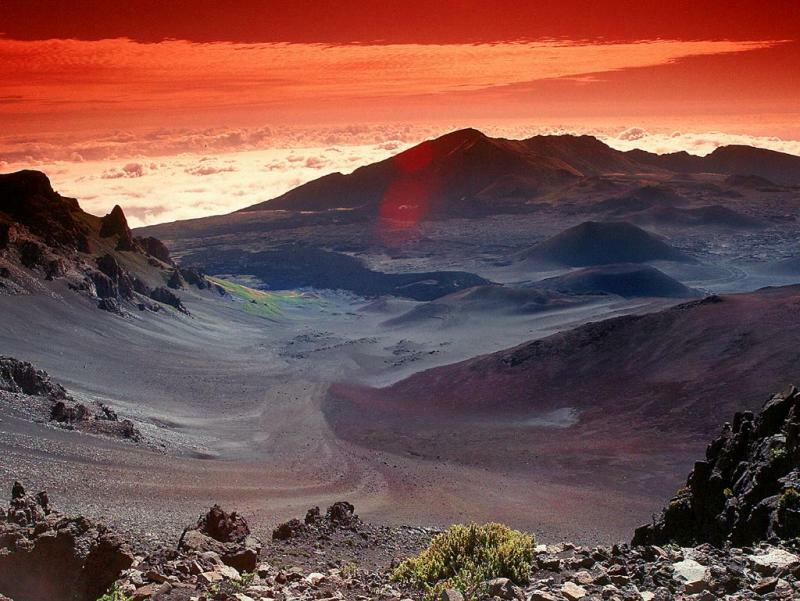 2) Sunrise at the Haleakala Summit – this requires waking up really early and driving up to the summit of the Haleakala volcano. 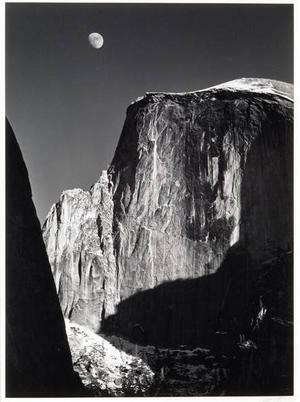 The summit is just below 10,000ft, so you’ll want to bring warm clothes with you – something you wouldn’t think to pack for a trip to Hawaii – as it can be really cold at the top. 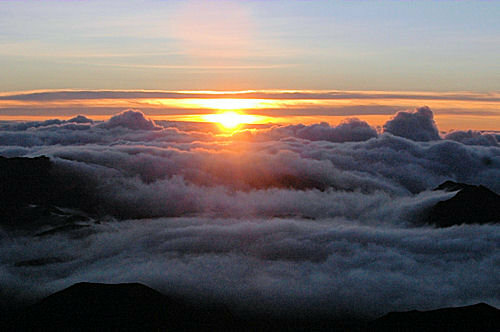 The view is amazing as the sun comes up, you’ll be able to see all of Maui, other islands, and the volcanoes on the Big Island. 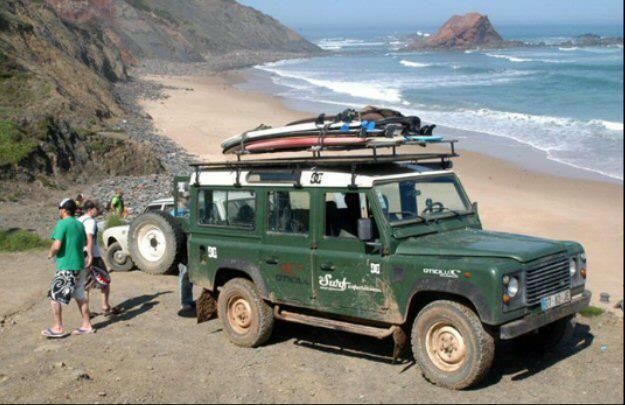 Transportation for Oahu & Maui – a rental car is essential on both islands, some drivers may find the Road to Hana stressful, while others will find it exhilarating. I know it’s very cliché but on one of the islands you should splurge and get a jeep. I’d pick Maui, so you can enjoy the Road to Hana with the top down and soak in the scenery that’s speeding by. With this itinerary, you’ll only need 1 inter-island flight as you should be able to fly into one of the islands and fly home from the other. 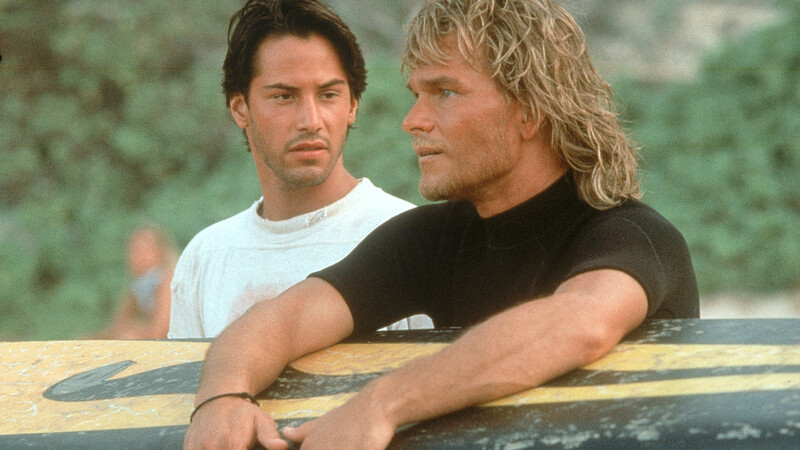 Here’s 10 songs that would fit nicely on a Hawaii Trip playlist. 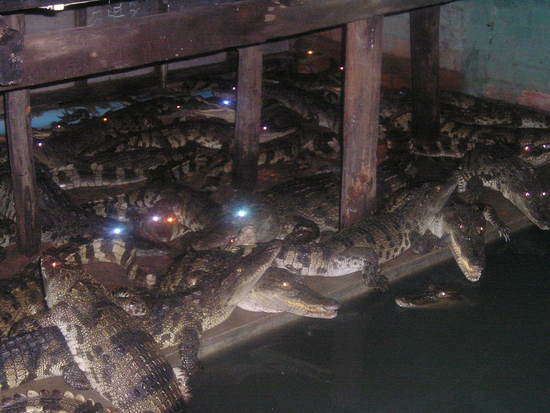 Have you ever wanted to sit down for dinner in the same room as a pit full of hungry crocodiles, if so the Dead Fish Tower restaurant is for you. The Dead Fish is in Siem Reap, Cambodia. Siem Reap is the town that you stay in when exploring the ancient temples of Angkor Wat. 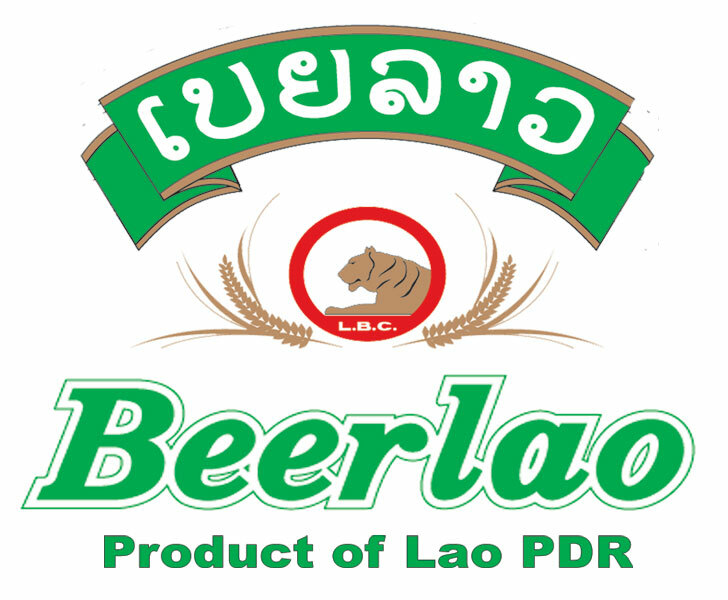 I’m sure I’ll post about Angkor in the future, but today’s post is about unique dining experiences. When you enter the restaurant, you’ll notice that the tables are on raised platforms throughout the multi-level dining room, and there are cable systems that the servers put the orders on and send down the line directly to the kitchen. 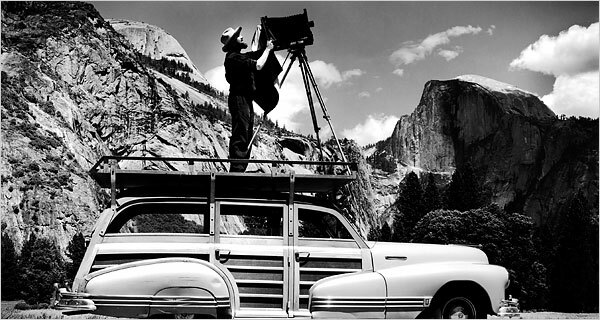 It’s quite a sight to see. 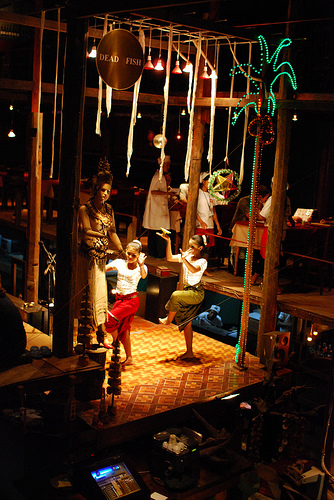 There’s live entertainment that features traditional Khmer music and dancing, but the main attraction is the pit in the corner of the restaurant that is filled with large nasty crocodiles. For a few bucks, you can buy fish to feed the crocodiles, or you can just watch someone else throw in the fish and witness the feeding frenzy below. 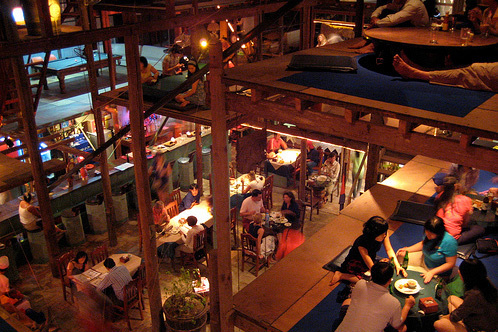 The food is good, but it’s the atmosphere and entertainment that get top marks at this unique spot. 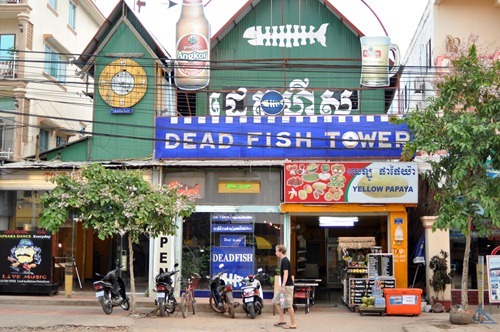 When visiting Siem Reap, make sure to have a meal at the Dead Fish Tower Inn. 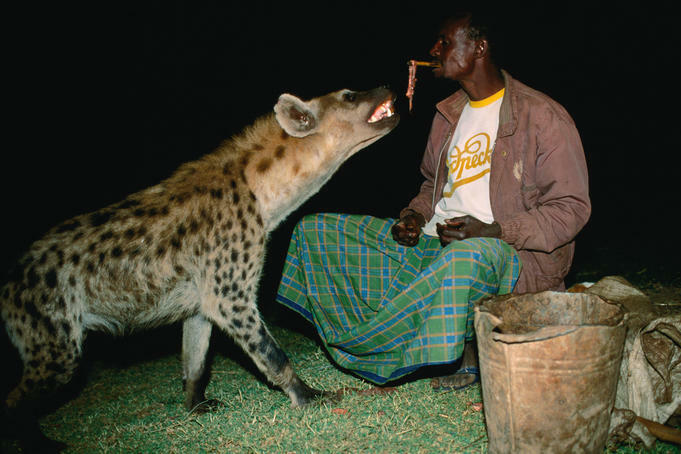 Every night, outside the gates of the ancient walled city of Harar in Ethiopia, the Hyena Man sets up shop and provides travellers with a heart pounding thrill. 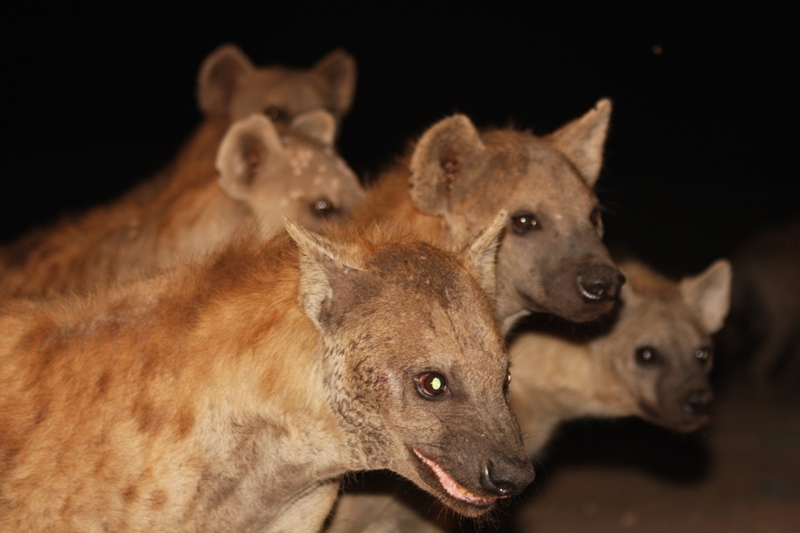 The hyenas show up in large numbers for their dinner, the Hyena Man sings the pack a song or two and then begins feeding them slices of meat one-by-one from a stick in his mouth. After watching him perform this a few times, travellers have the opportunity to pay the Hyena Man a little money and feed the hyenas as well. This nightly ritual began years ago, after hyenas attacked and killed some children in Harar. 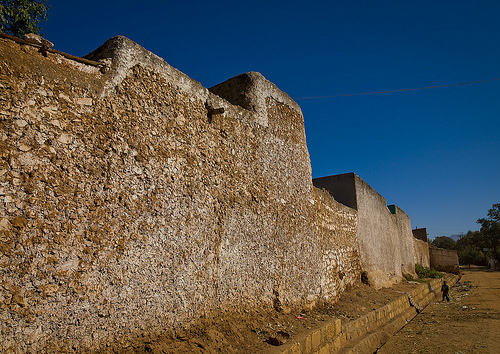 The people of Harar decided to keep the hyenas in the area well fed so that they wouldn’t attack again. 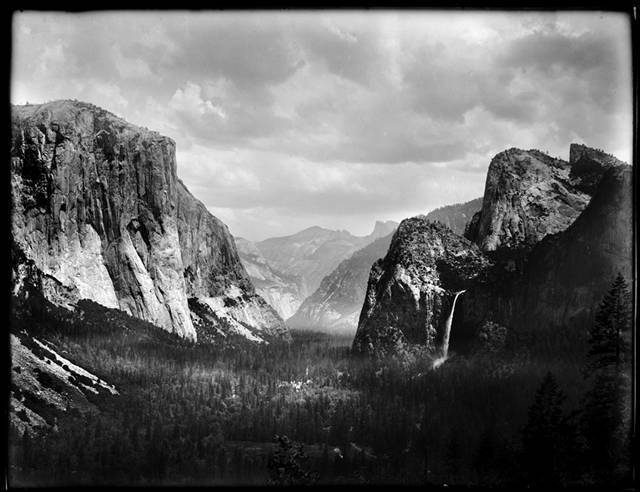 Years later, it’s an attraction for visitors exploring the ancient city. I’d definitely go watch the Hyena Man do his thing, but I’m not sure if I could feed one of those beasts…..would you? Vietnam is becoming a hot spot on the Southeast Asia travel route, but the remote village of Sapa in the northwest of the country is still considered to be off the beaten path from Saigon to Hanoi or vice versa. 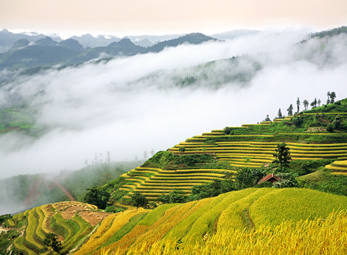 The landscape is mountainous with lush green vegetation and terraced rice paddies built into the sides of the mountains. 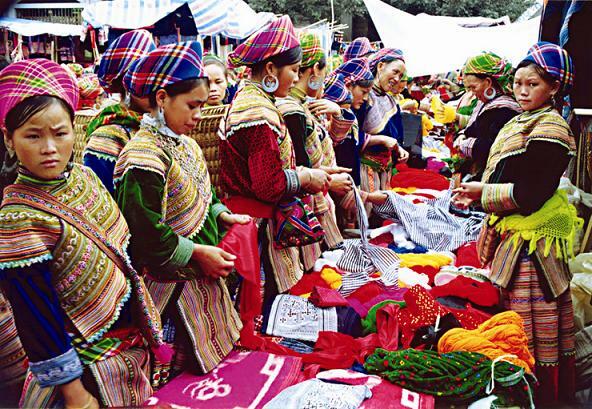 The people in this area belong to various hill tribes such as the Dzao & Hmong, and are friendly towards travellers. 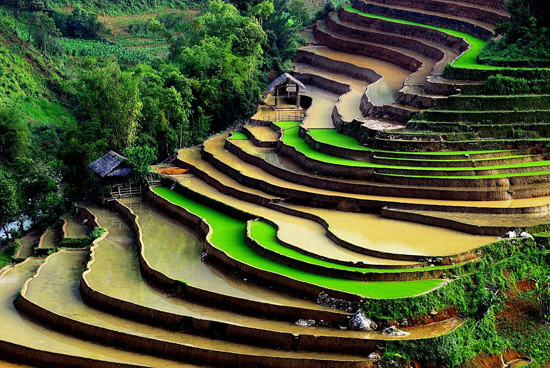 The best time to visit Sapa is either March – May or Sept – Dec, when the weather is very pleasant and rainfall is minimal. There are lots of trails in the area for hiking, multi-day trekking, or mountain biking. If you’re planning a trip to Vietnam, you should make space in the itinerary for Sapa, it’s a little out of the way but the experience will be well worth it.